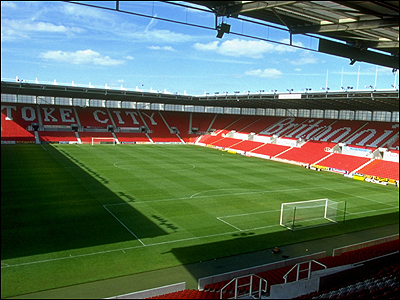 FA Cup Preview - Potters to Bring Nightmare for Toon? FA Cup Preview – Potters to Bring Nightmare for Toon? Newcastle may have been slump recently in Premier League, have had three defeats in a row but to be honest and beyond my wildest dream, I can't see how they will bring the nightmare to us. If they in fact capable to manage the win on Sunday, it will be mostly because the lads can not bring out their best or bad luck. If United team was in the form of their real strength, Stoke City is nothing. Sam Allardyce will also doesn't need any sympathy from Stoke City before their meeting at the Britannia Stadium on Sunday. Times online's reporter, James Ducker, was being silly if he gave an illustration from Newcastle's past three Premier League games to pile the pressure on Allardyce, compares to Stoke City who are unbeaten in ten matches since November 10. Potters boss Tony Pulis, who manage the team since 2006, confident that they will be able to handle the Sunday's occasion with his combined Stoke's youth and experience players. His team this season has plenty of former top-flight players in his ranks, to name some are Ryan Shawcross (loan from Manchester United), Rory Delap (ex-Derby, Southampton, Sunderland), Liam Lawrence (ex-Sunderland), Richard Cresswell (ex-Leeds) and Ricardo Fuller (ex-Portsmouth). Big Sam is already aware of the Cup romance. With his Bolton team, Allardyce is successful to bring nightmares to other Premier League Big Clubs, and now with United he didn't see any reason why he should have that nightmare. He also will make the Cup tie as his turning point to bring the confidence back to United squad after that three Premier League defeats. With Manchester United fixture to follow after the Britannia clash, Sam Allardyce have no other choice than have to win the Britt's match, or he will see his time at St. James' Park is no longer can be saved.